Find your passion in Argentine Tango Classes! Would you like to see our Argentine Tango demonstration at our recent Open House with our Tango instructors before you sign up for the Argentine Tango Classes? Click Here! 4 week group class: $60 per person/per class (starting April 23, 2019). To REGISTER or RESERVE a spot go to our Calendar (Click Here! ), select the group class of your choice and follow the instructions to sign – in. Register in Advance to Save your spot! 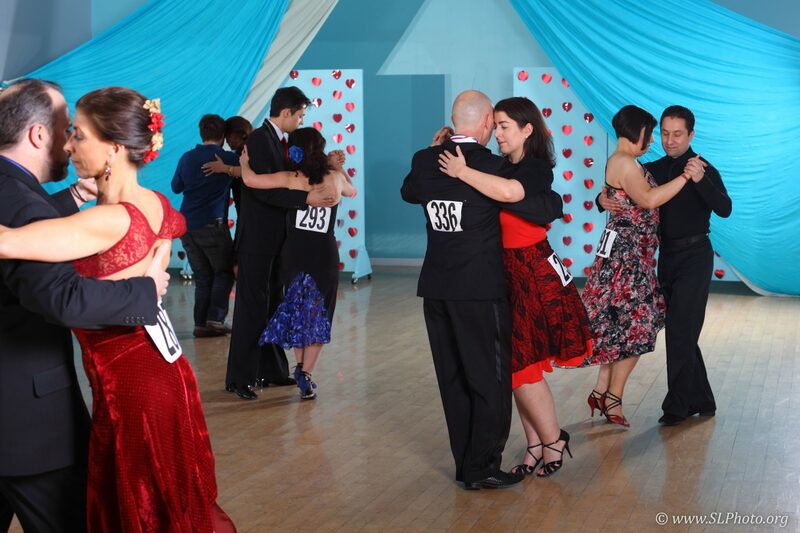 The Argentine Tango Instructors of this program have been teaching and studying Tango for 20 years. Here is where we develop the foundation of this dance. It takes from 6 months to one year to cover most of the Argentine Tango foundation essential topics. Here is where we try to understand better the art of Argentine Tango, and take the foundation to the next level, preparing the student for a more musical and fluid tango performance. Students will study more difficult choreography. The class emphasis is in communication, exploring Leading and flowing techniques. No total beginners are allowed. Students here are expected to have a good level of communication (lead /follow) , and musicality. The skills develop on this class relate to musicality, communication, tango feeling, elegance, and fluidity of movement, generating the ability to create better interpretation of the music, and the usage of more complex figures for better enjoyment of the dance. EVERY 1ST & 3RD SATURDAY OF THE MONTH. Best music, cushioned dance floor, plenty of room, perfect atmosphere for the practice of Tango. Hosted by Instructors Fabio Bonini and Nick Pasch. It is a lot of fun!!! Our Practilonga combines the best of a Milonga and a Practica. It’s a place to practice and a great excuse for a party! or just dance the afternoon away to an awesome tango selection. We provide tea, coffee and water. Admission $5 or Couple $8. Just Show up and Dance! We are excited to bring you another Milonga of steamy & sultry TANGO on the 2nd Saturday of each month. No Partner, No Problem! We Guarantee you will have a GREAT time! To find more information about the milongas at Forever Dancing click here! Forever Dancing Ballroom have also been hosting several Argentine Tango coaches, and milongas throughout the year, because it is our tango mission to develop the Argentine Tango DMV Community with fresh, new skilled and friendly dancers that have appreciation for this art. Forever Dancing Ballroom have been taking students to dance in Buenos Aires for the last 16 years (click here for our dancing trips webpage! ), and organizing an Argentine Tango festival for 11 years (click here for our tango festival webpage), because “Forever Dancing Argentine Tango Program” invest in the students beyond classes, creating exciting events for them to participate, and activities that will motivate them to their next Argentine Tango Level. Why to learn Argentine Tango? Tango shows a way to learn about your own body and appreciate it. It improves your posture and walk and makes your movements coordinated, grounded, yet light and graceful. You start moving to the music of your heart while you are at work, at home, or stuck in traffic. Tango enriches your life as a couple. If both you and your life partner decide to join the world of tango, it can create a wonderful bonding experience, a prospect to do something new and exciting together. Are you new to music and dancing? Tango opens ways for your self-expression, and if you are involved with other dances, tango will improve your skills. Why to learn at Forever Dancing ? 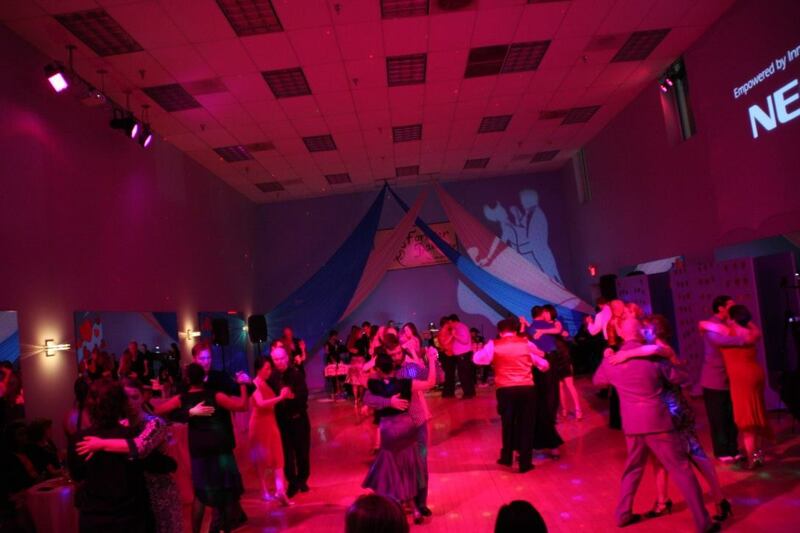 Forever Dancing Ballroom Argentine Tango Group Classes program is the best progressive lesson program in the DC and VA Area. We make learning Argentine Tango easy, quick and fun! Forever Dancing is famous for this weekly progressive & effective Argentine Tango Classes, and Private Argentine Tango lessons and Milongas (Dance Party). At Forever Dancing Ballroom you will find a friendly, inspiring and supportive place to learn Argentine Tango. You will always meet new people at our Argentine Tango classes and in doing so you may build new lifelong friendships! Sign up now and learn this phenomenal dance. Forever Dancing Argentine Tango Classes near Lincolnia, VA; Jefferson, VA; Falls Church, VA; Annandale, VA; Arlington, VA; North Springfield, VA; Franconia, VA; Idylwood, VA; Springfield, VA; Alexandria, VA; Groveton, VA; Washington, DC; Tysons Corner, VA; West Springfield, VA; Vienna, VA; with the best Argentine Tango Instructors of the DC Metropolitan Area.